Things changed when Blockbuster, the once-upon-a-time home movie and video game rental juggernaut, decided to display gift cards on their counters. According to most sources, that moment in history gave rise to a very lucrative business for retailers across the globe. Gift cards are popular options for those who simply cannot figure out what to get for someone who has almost everything. However, when it comes to corporate spending, gift card programmes might not be the best way to incentivise customers or employees. Concerns surrounding the potential for cards to be lost or stolen and the slow process one must follow to remedy either situations, the lack of insight into corporate gift card recipient spending and how successful such programmes are make a clear case for a more modern approach to incentivising consumers and employees. While we’re biased towards mobile digital wallet payments, for obvious reasons, we’ve decided to do a thorough job of comparing the two options. Having a collection of gift cards stolen from you is unfortunate but is still a loss. Losing a set of gift cards can also really put a damper on one’s day and will likely smudge your professional record. If you loose your gift card it’s gone. You can’t transfer the remaining funds to a new card. Our mobile wallet solution comes with a additional security features to give users peace of mind. Firstly, a mobile phone is pin or passcode protected and protect your digital wallet from unauthorised use; secondly, your account can be blocked by contacting our support team until a time when you’ve replaced your phone or gotten a new number, in which case it will be reinstated or transferred to the new number. For the consumer, the experience of losing a gift card is no better. It happens; you get a gift card and put it in a safe place, but lo and behold, it’s not there when you finally remember to use it. Consumers who lose gift cards will need to contact the issuing corporate and begin the process of proving that the card has been misplaced or stolen. The corporate then contacts the retailer and uses the gift card serial number. The retailer needs to check their system to confirm that the card has not been used – a painful process. Once again, the gift card recipient is racing against the clock, hoping that the card has not been redeemed if it has been stolen. This can all be circumvented if you can remember the 18-digit PAN number on every single gift card which, unfortunately, is highly unlikely. Mobile digital wallets, on the other hand, can be set up and accessed from any mobile device once authentication has been completed. At TuYu, we link a digital wallet to a mobile phone number, user information and the unique mobile phone ID. So if a consumer or employee loses their phone, they control the entire remedy process. We have an emergency line that users can call to freeze their wallets until they’ve gotten their new phone set up. Most gift cards last for up to three years, which is the minimum term allowable in accordance with the Consumer Protection Act. While three years sounds like ample time to redeem gift cards, there’s a good chance that your recipients could lose the cards before they expire. Once gift cards expire, they are done and cannot be used. Our digital wallet, however, does not expire funds, allowing users the opportunity to grow their funds for larger purchases. Using corporate gift cards to reward regular achievements can results in participants having to carry more than one card to redeem funds. Using a mobile wallet is more convenient as you only need to have your phone on hand to use your digital wallet. By their design, purchased gift cards must ultimately be delivered to the corporate who in turn issues them to the recipients. This creates costs associated with the postage of the gift cards. In a scenario where you’d would like to incentivise consumers in multiple provinces, the cost of shipping cards back and forth can grow rapidly. In some cases, physical card and fulfilment costs outweigh the value of the reward on the card. At TuYu, everything we do is digital. You can log into your self-service portal and issue funds to a digital wallet in under a minute. There’s no risk associated with posting valuable vouchers. 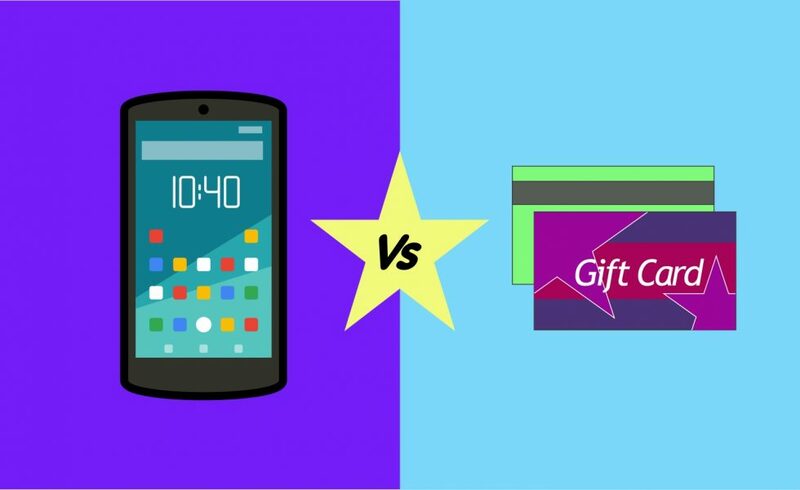 Gift cards are not designed to be reloaded with funds but mobile wallets are. Access to our online platform allows corporates to issue funds to consumers and staff immediately. In fact, the ability to fund digital wallets immediately and regularly are two of the reasons why most TuYu clients use our platform. We see daily, weekly and monthly wallet payouts and user spending. Funds also accumulate in one account as opposed to having multiple cards with multiple balances. Businesses interested in developing engaging incentives or payout programmes for consumers and staff spend time looking at data to inform their decision-making. One of the drawbacks of using gift cards is that there is no insight into whether the cards have been used. This makes it harder to create more rewarding incentive programmes in the future, as consumers and staff who didn’t find value behind receiving gift cards are less likely to be thrilled by the prospect of more gift cards. Consumers also struggle to keep tabs on what balances remain on gift cards, especially if they have been issued with more than one. To determine how much remains on a gift card, consumers need to be in store to make the query at a till point. 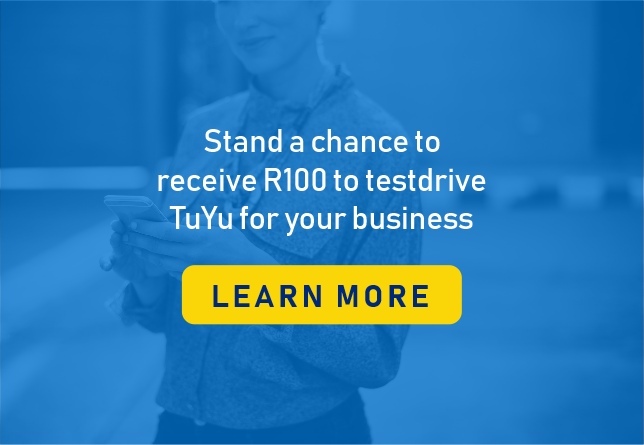 One of the features available to TuYu corporate clients is that our platform can provide insights into where users are paying with their TuYu wallets. These insights help corporates create stronger programmes, driving significant growth for their businesses. TuYu wallet users can check their wallet balances whenever and wherever by logging into the TuYu app, or by dialing our USSD string. Delayed incentives devalue programme impact. Typical corporate payout solutions require admin paper trails before a gift card can be issued. These processes can take days, and in some cases weeks. Programme participants are left in the dark, having no way to tell if or when the new programme will benefit them. Once gift cards are finally assigned, they need to be posted to the recipient. Postal services increase costs for the corporate and deliveries can take up to four days. Gift card deliveries can get lost. Tracking gift card deliveries can be a nightmare, especially if you are administering a large incentive programme that spans multiple provinces. Our online platform offers a little more flexibility and convenience. There’s no need to try and track the payouts you make on a custom-built spreadsheet as you’ll have access to the history of every transaction you’ve completed. You can issue spot payouts immediately to programme participants across the country (this can also be done in batches). Immediate payouts create a positive experience for programme participants, driving redemption rates. We also notify the users via SMSs and email as soon as their wallets have been funded. Because payouts are issued digitally, they are issued instantly – eliminating the long postal service wait. Instant funds payouts eliminate the need to track gift cards through postal services. One of the more important concerns that most corporates have about gift cards is whether they are actually used. Most sources we’ve turned to have placed the redemption rates of SA gift cards at around 25%-32%. In comparison, we’ve seen a rate of 91% with TuYu users. This shows that given the chance, consumers spend more money, more regularly with mobile wallets than with gift cards. Gift cards have been around for a long time and they’ve been big business for many retailers across the globe, but with the introduction of digital wallets, corporates can run payout and incentive programmes in a much faster and more secure way. Do you need to launch a corporate payout or incentive programme but need to speak to someone first? If so, call us on 021 812 1495/6.